Home > Sports	> Welcome to the Nats Bandwagon! 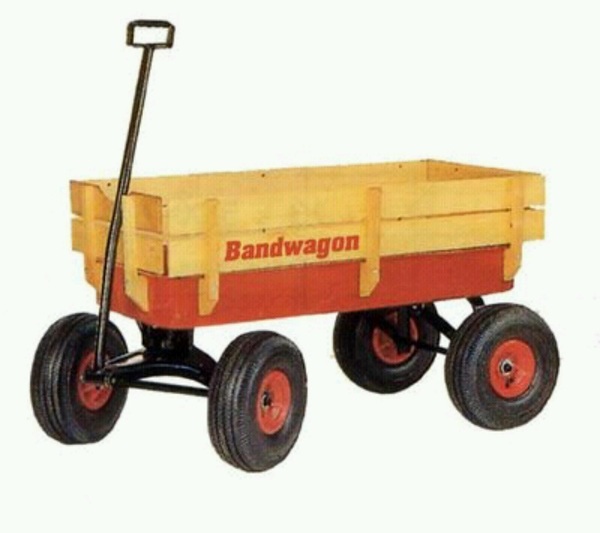 Welcome to the Nats Bandwagon! It’s just a baby bandwagon right now, but we’re building a much bigger one. Young, fresh and amazing, the Washington Nationals are now recognized as being the real deal. And they are getting admiration from some unusual places. And not just because of media hype. They are the 2nd best team in all of baseball. First off, I’ve posted twice on the Nats in the last few weeks. One of these was a statistical analysis comparing Bryce Harper’s rookie season projected from his first 100 at-bats, to the first full seasons of 15 hall-of-famers. It was a gushing, almost sickeningly enthusiastic piece that naively compared the kid favorably to some of the greatest names in the history of the sport. Since that was published, Harper’s only gotten better- hitting for better average and showing more power. Then last Saturday, I posted about the remarkable performances by both Harper and Stephen Strasburg in the first of a three-game series at fabled Fenway Park. It was yet another love poem to the Nats, quoting from some of the best baseball writers in the nation. And the Nats have only gotten better. In fact, they haven’t lost since. They swept Boston then went on to sweep the Toronto Blue Jays, their first 6-0 road stretch since baseball returned to Washington in 2005. So now, on the eve of a three-game series against the New York Yankees, I know this good fortune cannot continue. Both the Yanks and the Nats enter this series on 6-game win streaks. Somebody has got to lose. It’s youth against grizzled veterans. It’s baseball’s most storied team against the sport’s perennial losers. It’s the past against the future. I have a feeling the Yanks are going to take at least two out of three. I might add I also thought the Nats would get swept in Boston. And now to the converts. Wasn’t it just last April that the Nats made such a big deal about the Philadelphia Phillies coming to town? The great “Take Back the Park” promotion? The defending NL East champs? As of this morning, the Phillies are 10 games behind the Nationals. And there is this. It’s from a Philadelphia sports blog and you’d think that with a headline like Nationals Aren’t Going Anywhere– it might be a column about the team’s impending collapse. The Nationals, of course, are the Nationals. We are trained not to take them seriously. My advice to Phillies fans is to start. The only thing that can derail Washington now are injuries. In Bryce Harper and Stephen Strasburg, they have two of the best players in baseball. From top to bottom, theirs is the best rotation in the league, with a strong bullpen and defense backing them. All together, there is just enough pop in their lineup to propel the club to 38 wins, the second-highest total in baseball. What part of this equation do you envision falling apart? The Nationals have dealt with their share of adversity, like losing catcher Wilson Ramos for the year, or Jayson Werth for 60 days to a broken wrist. Still they are on top, their confidence building. And they are only getting better, I’m afraid. Many of us watching this Nationals phenomena have been rooting for Washington for many years. A lot of folks easily go back to baseball’s return to the nation’s capital in 2005. Some, like me, date back to the 1960’s when as youngsters we cut our baseball teeth sitting in RFK stadium watching Frank Howard, Mike Epstein, Del Unser, Joe Coleman, Eddie Brinkman and Bernie Allen. And there are those Washington fans who remember Griffith stadium, a place better known in baseball lore as the location of Mickey Mantle’s 565 foot homerun more than anything the Senators ever did there. To my long-time and long-suffering Washington baseball buddies- resist that temptation, my friends. Welcome the converts to our fun and ever-expanding tent. Open your arms wide for the refugees suddenly washing up on the shores of the Potomac. Finally,Washington has something to offer the world besides debt and gridlock. Behold, world- in Strasburg and Harper and even with rookies you’ve never heard of like Lomdardozzi and Moore, there is the spirit and brashness of youth. In Davey Johnson, there is the wisdom, good humor and steely determination of a lifetime in baseball winning World Series titles as a player and a manager. In Mike Rizzo, you have the general manager who is suddenly now being recognized as the architect of one of the most interesting ball clubs in the history of the game. Welcome one and all! Hitch yourselves to the bandwagon but be prepared for a long, long ride through this season and into the next four or five. Do not doubt. Do not fear. And for crying out loud, do not ask any Clown questions, bro’s.